Mr. Kitack Lim (Republic of Korea) is the Secretary-General of the International Maritime Organization (IMO). Mr. Lim graduated in nautical studies and worked on ships and in maritime administration of the Republic of Korea (RoK). 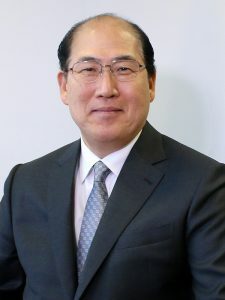 He has represented RoK at IMO meetings and was posted to the country’s London embassy as Maritime Attaché and Deputy Permanent Representative to IMO. Since 2011, Mr. Lim has been Director General for Maritime Safety Policy Bureau, Ministry of Land, Transport and Maritime Affairs; Commissioner, Korean Maritime Safety Tribunal; and President, Busan Port Authority. Mr Lim holds master’s degrees from Yonsei University and World Maritime University.